Zipp’s advanced development lab, nicknamed “the Nest”, has turned to nature seeking solutions to the problems of speed, control and efficiency. Using the science of biomimicry, the Zipp 454 NSW carbon clincher draws inspiration from an unlikely source: the humpback whale. This wheel showcases an evolutionary leap forward in rim design. Zipp sought to address the all-too-common problem of crosswind instability. Any rider who’s taken a pair of deep-dish wheels down an exposed decent has had the hair-raising experience of an unpredictable gust nearly resulting in a crash. This occurs because once the wind hits the rim, it results in low-frequency vortices creating what’s called “buffeting”. 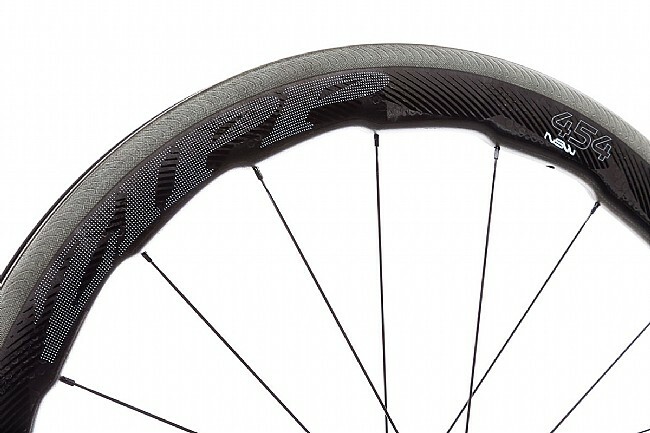 The striking Sawtooth™ rim architecture is Zipp’s answer to pesky crosswinds. The biomimetic 53/58-mm deep rim takes inspiration from the tubercles on a humpback whale’s fins. These tubercles provide the whale increased responsiveness as they corral krill, often changing directions or depths to position themselves perfectly. The 24 HyperFoils™ along the 454 NSW rim address side-force by creating less powerful, more predictable high-frequency vortices. 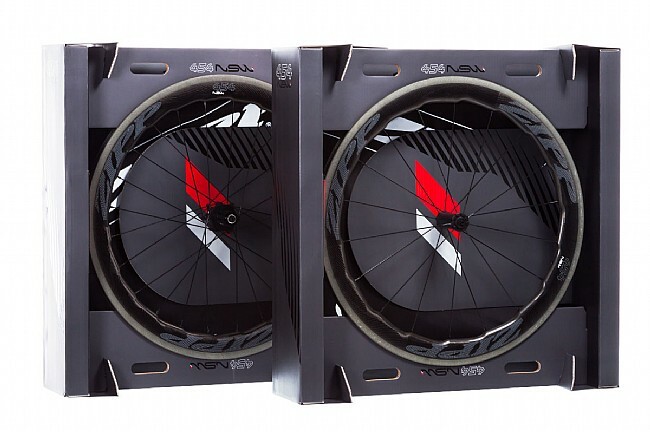 Pair this with the HexFin™ ABLC dimples for improved airflow and the result is Zipp’s highest performing wheelset yet. 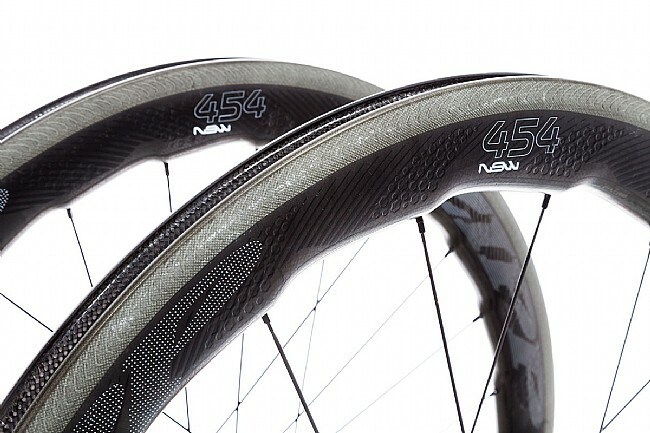 The 454 NSW rims are laced to the NSW-specific Cognition™ hubs using 18 front / 24 rear Belgian Sapim™ CX-Ray spokes. The rear hub houses the XD-driver compatible Axiom Clutch freehub body, doing away with the standard 3-pawl ratcheting freehub body and opting for a drag-reducing 36-tooth magnetic-operated freehub that disengages while you coast. There is a star-flanged hub in the rear and a scalloped hub shell up front, increasing durability and reducing load on the stainless steel Swiss bearings. 18 Sapim® CX-Ray spokes in front, 24 rear. Congition™ NSW-specific hubs with Swiss bearings and Axiom™ clutch technology. 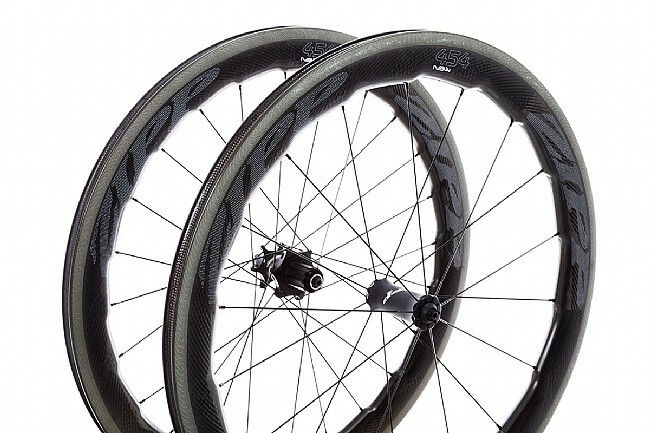 I was reluctant to pull the trigger on these wheels since I was concerned on how they would handle in crosswinds. I live along the coast and much of my riding is exposed to crosswinds blowing in off the ocean. I'm happy to report that they are very well behaved in the wind. In fact they seem more stable than the 303's I had been riding. The Cognition Hubs spin up quickly and roll forever....and they sound awesome. 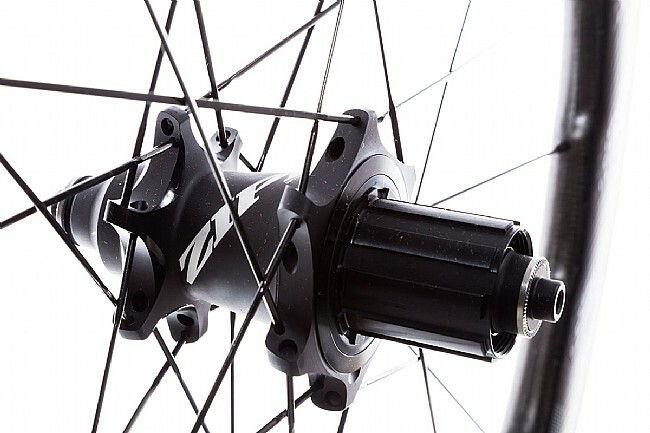 If they pass the durability test Zipp has a real winner with these hubs. The downside is the price, they're not cheap. I found the best price at Bike Tires Direct and with the VIP points I have a nice balance towards a future purchase. Finally got up the nerve to build an ultralight bike for local century races and researched wheels for several months before buying these Zipps. This new 454 looked like the right compromise between weight and aero efficiency, given that all of our longer road races feature 2000-4000 feet of climb. 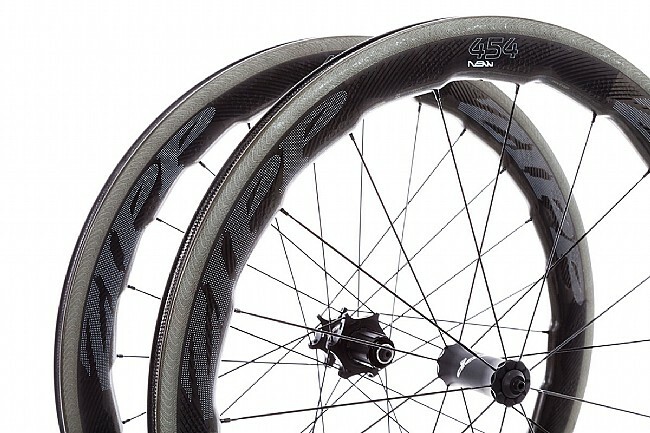 I was truly hoping that the new design (versus the 404) would significantly lessen the crosswind penalty for deeper carbon wheels, as Zipp claims. I have been using a set of Gen 1 Zipp 45 mm carbon wheels for 3 years. The recent winter winds here have provided ideal conditions to compare performance. Bottom line .... I set PR's every time out on the new wheels, and over all three standard local routes that I solo time in my neighborhood. These PR's (measured in avg. mph over a 30 min and two different 70 min circuits) have averaged 0.34 mph faster in 7-11 mph winds. The 70 min circuits include 1100 ft. of climb. I used the same bike and same Conti GP 4000 S II tires. However, crosswinds affect these 454's noticeably more than my Gen 1 Zipp 45 mm wheels if you only consider how much buffeting you feel. Granted, these 454's measure 53 mm to 58 mm deep, depending on where you measure the whale ridge profile. I give them 5 stars for performance and 4 stars for value because I feel the crosswind control improvement for such a deep wheel is slight .... very slight for the extra $$$ you're shelling out. Buy them for the straightline aero speed and the cognition hub ... they're fast. Good luck in gusty 20 mph winds though, if you weigh 138 lbs like me, or just switch back to a 30 mm wheel in the wind.